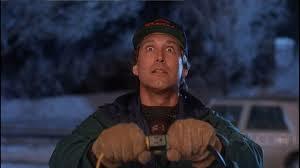 How best to describe Christmas Vacation? Tacky. Crass. Vulgar. But oh so funny. 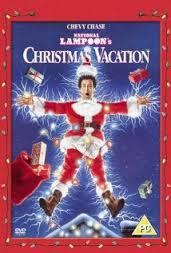 If you’re not a fan of Chevy Chase, you probably won’t like it, after all, it’s a star vehicle, as with all the other ‘Vacation‘ movies. Randy Quaid is brilliant or well, what’s the opposite of brilliant? Eddie. Anyone recognize Rusty (this one, also played by Anthony Michael Hall, Ethan Embry, etc. in the various Vacation movies) – Johnny Galecki, Leonard on Big Bang Theory. If you haven’t watched this several times in a lifetime, I’d say you’re missing out or maybe you’re the wise one. It’s not Christmas until I have seen it. Reminds me of my Dad (may he rest in peace).